'The Prophet' will premiere on June 15th and open Annecy Animation Festival (15-20 June 2015). "My Family and The Wolf" presented at the Annecy Mifa Pitches on Wednesday 17th June 2015. The project was selected from the 297 submitted to the Mifa's 2015 Calls for Projects. Nectarious Films to represent Stompy & Snorty in Annecy. This 39x7' preschool musical show is developed and produced by Australian boutique Rawr Media. Synopsis : The musical misadventures of Stompy the adventurous girl with enormous feet and Snorty the gentle elephant with a giant nose through the suburb-sized solar system they call home. Show bible and scripts available. Please contact us. Synopsis : In his brand new television show, Mr Toc will solve - in only three minutes - all of the world’s complexity, unveiling THE one and only solution with his pseudo-scientific demonstrations, his revolutionary inventions (available to the public through the shopping network) and his unparalleled prefab smile. A caustic and absurd series that makes fun of our overly-mediatized modern world. Show bible, scripts and pilot episode available. Please contact us. Nectarious Films and Ulysses Filmproduktion partner to co-produce My Family and The Wolf. The film will be released in France by Gebeka Films. It's been developed with the CNC and Media development supports. 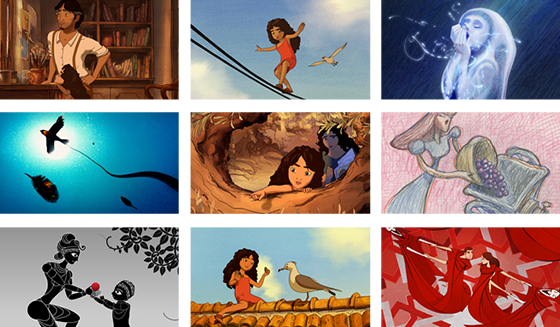 The CNC awarded the film the 'Avance sur recettes' production support in October 2013.
of 'Kahlil Gibran's The Prophet'. The film narrative is directed by Roger Allers (The Lion King), from which individual chapters of Gibran’s book will be directed by internationally renowned animators including Nina Paley, Bill Plympton, Tomm Moore, Joan Gratz, Michal Socha, Joann Sfar, Paul and Gaetan Brizzi, and Mohammed Harib. Composer Gabriel Yared also participates. The final chapter produced by Graphite and Nectarious is directed by Paul & Gaetan Brizzi. 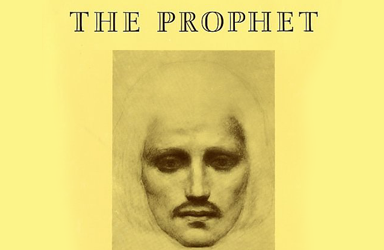 The book, originally published in 1923, has since been translated into over forty different languages and has become internationally regarded as masterwork of twentieth centry poetry. The film will feature voice talent from Liam Neeson and Salma Hayek, who is also producing the film alongside Clark Peterson and Ron Senkowski, with financing from Doha Film and Participant Media. 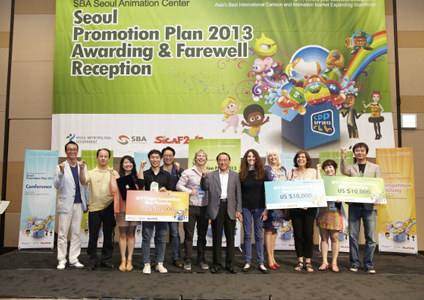 My Family and the Wolf win the Best Creativity prize at the SPP in Seoul! Nectarious Films delivers a 2’ book trailer for the updated volume of the complete history of the Maison Louis Vuitton. 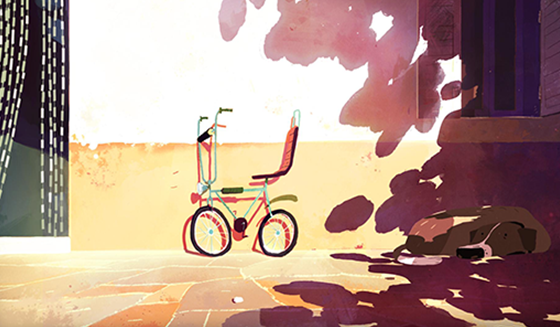 Created by French director and graphic designer Claire Fauvain, this timeless beautiful animation piece combines quality design and original storytelling, with an original soundtrack by Brains & Hunch. 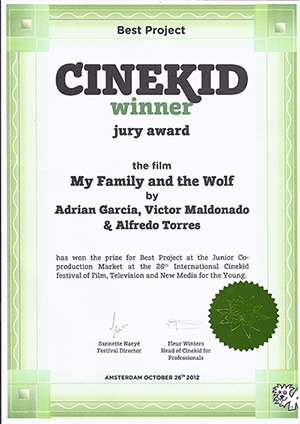 MY FAMILY AND THE WOLF won the Best Project prize at the Junior Co-production market at the 26th International Cinekid festival of Film, Television and New Media for the Young. MY FAMILY AND THE WOLF was presented at Cartoon Movie from 7th to 9th March 2012 in the “projects in development” category.